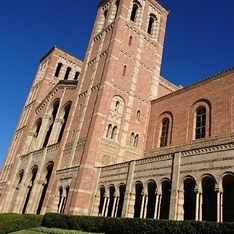 A seminar was held at UCLA over the course of two days between Friday, September 14th, and Saturday, September 15th. 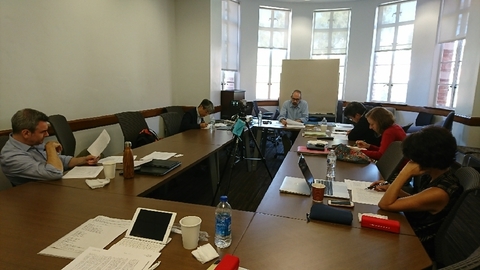 The presenters were comprised of Professors Saitō Mareshi, Tokumori Makoto, Torquil Duthie, David Lurie, Christina Laffin, and Satoko Shimazaki. First, Professor David Lurie gave a presentation entitled “Orikuchi Shinobu’s Imagining of “Ancient Times” and “the Virtues of Irogonomi.” While thinking about how Orikuchi Shinobu created the complex concept of “ancient times,” Lurie considered the concept of “the virtue of irogonomi” using the example of jealousy in the Kojiki. Lurie explained that in Orikuchi’s theory, irogonomi is argued as an ideal way to be in ancient times. He pointed out that the basis for that way of thinking is how Suseribime and Iwanohime’s stories are handled as being the same in discussing “the virtue of irogonomi.” In addition, Lurie stated that Orikuchi’s understanding of the Kojiki also is connected to Motoori Norinaga’s understanding of The Tale of Genji, and he argued that, though it has mistakes as an interpretation and commentary, it is very interesting if we look at it for its literary creativity. During the Q&A, besides talking about the use of the term Orikuchi’s “virtue of irogonomi,” there was also discussion about the manner of Orikuchi’s research, and its influence on later generations of researchers. Furthermore, there was discussion about how Orikuchi argues that irogonomi and jealousy were seen as behavior of the highest virtue for people of ancient times, which was something that was established and selected as being different from virtue as explained in Buddhism and Confucianism. While Norinaga takes this idea to be mono no aware, Orikuchi takes it as irogonomi, and understands “virtue” as not only a type of moral, but also an expression of power. In Japan, because various texts about myths have been produced in a variety of forms in each era since the Kojiki and Nihon shoki, it is important to examine these texts together with their historical background. 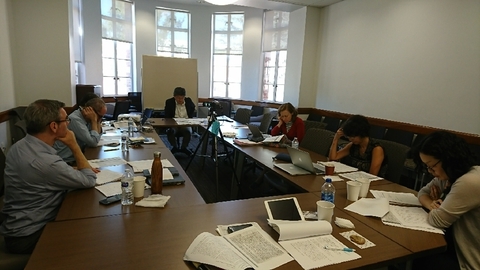 However, since only doing that means that there are many things that are overlooked, Tokumori stated that it is important to try to look at texts through the perspective of “the movement of text.” “Movement of Text” is the identification and comparison of transformations, alterations, and conversions between various texts about myths. While looking into the intellectual history of these mythic texts, Tokumori presented primarily on what is referred to as the “postscript” in Kiyohara Nobukata’s commentary on the Nihon shoki. First, as a way to enlighten us on the blueprint of medieval commentary on the Nihon shoki, Tokumori introduced Kitabatake Chikafusa’s Jinnō shōtōki, and pointed out that through this work came a major opportunity for the Nihon shoki to be considered once again as a text. Next, Tokumori explained that, by looking at the structure of Kiyohara Nobutaka’s Shoki commentary along with how the various explanations in the Senkenshō were critiqued, we are able to understand the attitudes toward those interpretations. In addition, Tokumori explained how Ichijō Kaneyoshi, Yoshida Kanetomo, and Nobutaka understood the Nihon shoki as a text at the time they were putting together annotations on it by looking at how they took the phrase “another book,” and concluded that Kanetomo and Nobutaka were able to construct their commentaries based on Kaneyoshi’s Nihon shoki sanso. 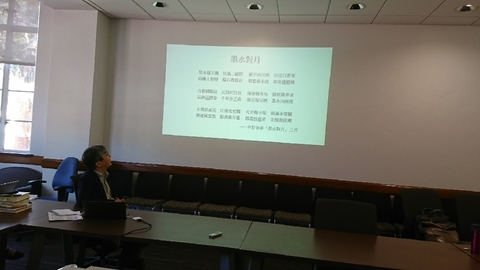 During the Q&A, there was debate on whether the difference in the attitudes of various commentaries might be related to Song Dynasty and Tang Dynasty ways of reading. In the current dictionary definition of kunimi (“land viewing”), despite the word appearing in text, Duthie pointed out that it is written about as if there was an actual ritual called kunimi. He raised questions about whether it was a ceremonial rite, if so how was it defined as a ceremonial rite, how did kunimi exist in relation to the act of writing, or was it established alongside the act of writing, and, if kunimi was a ceremonial rite performed by the sovereign, how did it relate to the right of the sovereigns themselves? And, because the act of kunimi was virtual, he concluded that sovereign was able to obtain power precisely because it was virtual. First, in showing his examination process, Duthie cited examples of kunimi and acts similar to kunimi from the Man’yōshū, Kojiki, and Nihon shoki, and explained how they were composed. In the Kojiki, however, there is no example of kunimi despite the presumption that if kunimi is a ceremonoial rite it would be discussed. In addition, Duthie pointed out that the two examples found in the Nihon shoki are exclusively done by legendary sovereigns, and that there is no record of historical sovereigns performing kunimi. In addition, after seeing how kunimi was mentioned and discussed in Edo period commentaries and folk studies, Duthie showed us that the relationship between the act of kunimi and Chinese classics revealed that gazing upon the land was a common practice. In the fūdoki, it can be confirmed that historic space consists of the sovereign’s movements and words, and the geographical realm is established through the act of kunimi, but in the Nihon shoki kunimi becomes a mechanism for discussing the historic realm, and within the kunimi-esque phrases in the Kojiki, because the sovereign is written as having a special existence, it means that kunimi is included as an element in the story of an idealized monarch. Therefore, Duthie argued that the act of kunimi within a text is written as a virtual ritual. In discussing the English translation of Ishimure Michiko’s new work Okinomiya and issues with the original work itself, Laffin took as her object of discussion Ishimure Michiko’s background, writing style (in particular how it is read in English), the story within the work, and also whether Okinomiya is a Nō play, a Nō song, or a drama. Furthermore, Laffin provided a blueprint to think about how within Ishimure’s work there always exists a woman who gives birth to the realm of the Buddhas, the realm of the gods, and life itself, which becomes a problem in English translations, and also to rethink within narration and story how Ishimure up until is handled within ecocriticism, feminism, and activism. First, Laffin gave the background for translating Okinomiya into English, and explained Ishimure’s history and background. Ishimure’s thoughts on how war influenced dialect, her thoughts in regard to Minamata disease, the circumstances in which she decided not to write Okinomiya using modern techniques, how to understand “modernity,” among other things were all issues. Besides this, she discussed the use of Amakusa dialect in Okinomiya, the real difficulty in reflecting that dialect in English translation, how in examples up until now there are many English translations that are either full of bias or unfavorable, and that even this current translation has had issues. Moreover, Laffin stated modern literature specialists up until this point have done all research on Ishimure, and their research contains preconceptions about premodern and classical stories. Thus ideas about Ishimure as interpreted by these researchers are far from what Ishimure herself talks about, which is a problem. 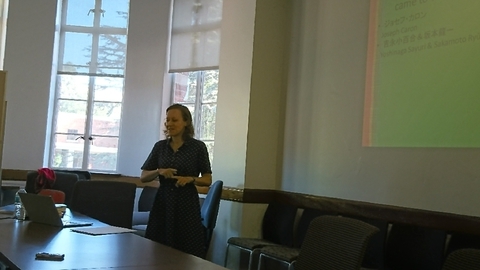 Finally, the presentation ended with questions thrown out in regard to understanding Ishimure’s work as a piece of ecocriticism, what Ishimure herself tried to do in her body of work, and also how the reader should interpret her work by actually reading it. During the Q&A, besides questions about the position of Nō within the Western world, and it being pointed out that tradition and ecocriticism are talked about as if they are illusions, there was discussion about the change brought by language such as when the soldier returns home from war and becomes a leader who speaks in standard Japanese, and what Ishimure’s true meaning was in regard to that. First, Shimazaki played a recording of the rakugo storyteller Sanyūtei En’u imitating famous Meiji kabuki actor Onoe Kikugorō V’s vocal performance of Benten Kozō. Although the use an actor’s imitative voice is a craft that has been enjoyed by kabuki’s favor since the Edo period, and a kabuki actor’s voice is processed by various people’s ears and voices as shared memories and products, with new media this use accepted the role played by publications surrounding kabuki in the early modern era of woodblock prints. In this presentation, Shimazaki mainly dealt with kabuki librettos published between the Bunka and Bunsei eras and the end of the Tokugawa period and gesaku literature inspired by kabuki culture, and wanted to explore how woodblock prints affected the environment surrounding sound and sound scenery in early modern Japan before the appearance of the gramophone. Previous scholarship has simplified the sound landscape from before the modern period, as it was involved deeply with the body that always is the source of sound. Though there have been arguments about what is sound in the modern period, Shimazaki argued through this presentation, that in fact before the early modern period, in works where one listens through the act of seeing, because readers grew familiar with books, woodblock prints about kabuki were separated from the real flesh and blood of the actor, and that these prints were able to circulate as a medium for bodies and voices. During the discussion, there was debate on the relationship between standards for voice and standards for genre, as well as the fact that standards based on the names of kabuki actors lead to standards for voice. First, Professor Saitō stated his intent to take shi poetry from the Sorai school as his object, and think about questions such as what kind of form did poetry that imitated classical Chinese poetry take, the manner in which the Sumida river was depicted using imitative methods, what the school meant when they called something “imitative of the classics,” and moreover how and why this style came into being. Saitō mentioned that the Sorai school’s style of imitating the classics is something that is aimed at the halfway point between the real world and what they called the ancient past, and though we have come to understand this as having the effect of rising above the real world by patterning oneself after the past, when we look at poetry of the Sorai school that remains, are there not also areas depart from Sorai’s teachings that poetry should entirely mimic those from ancient times? For example, poetry from the Sorai school are not simply imitative, but can be said to apply rhetorical techniques. In Hirano Kinka’s “Moon Upon the Sumida’s Waters,” by inserting the names of historical figures, a distance between the present and past is created in the poem, and to call this poem an imitation thus raises an issue, according to Saitō. In order to confirm what “imitating the past” is, Saitō gave an explanation about the Ancient Rhetoric schools in the Ming Dynasty and the Edo period, and that in Edo the objects of nostalgic longing were Nara, Heian, and China. Next, he touched upon the first example and meaning of the word “imitating the past,” and explained that there are three categories of imitation: imitating a particular classical poem, patterning oneself after a particular author, and imitating the old poetic style in general. After explain this, he talked about “place” in poetry and similar books among other things, and then summarized the presentation. In the original imitation of the classics that uses the Wenxuan as its example, the word “now” does not appear, but it is embedded in the Edo Ancient Rhetoric school, and the method of imitating the classics which incorporates the concept of “now” is something that puts forth place as an object that sings of now, making inherent the distance between the past and present. On the other hand, there is an imitation of the classics that reveals the distance between the past and present, and the Sorai school style belongs to this. Though the place is in the present, Saitō argued that place is something that draws the present to the past, and it is something that cannot attain China or the past. Saitō concluded that, because of this, the poetic achievement in the Sorai school style poetry was in being imitative poems of the classical style that showed the imperfections of imitating the classical style. This event had very stimulating presentations and discussion by our six presenters. I was also very fortunate to see presentations and discussions from professors at the forefront of research in close proximity. Thank you once again to the professors who provided such an exciting platform.